Hydrate in style with the S'Well 9oz Bahamas Gold water bottle. Crafted from double walled stainless steel, this thermos flask keeps hot drinks hot for up to twelve hours and cold drinks cold for up to twenty four hours. 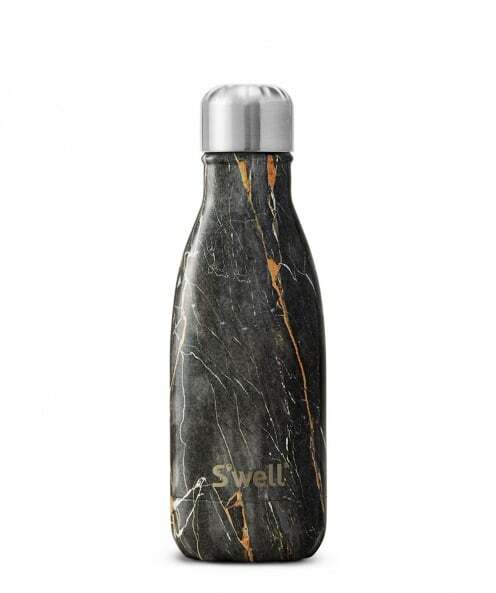 With a mouth wide enough for ice cubes and a vacuum seal, these water bottles from S'well are the perfect accessory for the gym, outdoor sports or your office desk.